Balloon booth. Balloon orders custom made on the spot. 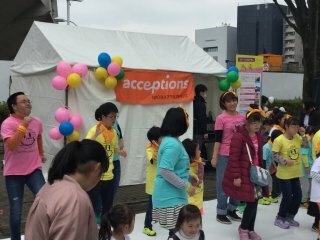 Buddy Walk is organized by the NPO Acceptions. 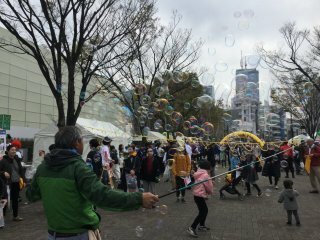 The magic of bubbled enjoyed by people of all ages. OBIC Seagulls football players showed their support in the parade line. 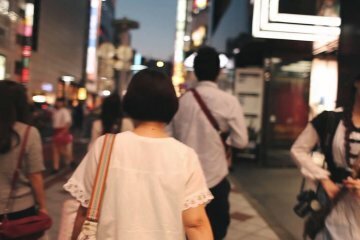 Try out your hand at football. 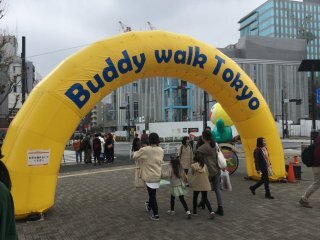 The 7th annual Buddy Walk Tokyo was held last March 31, 2019. 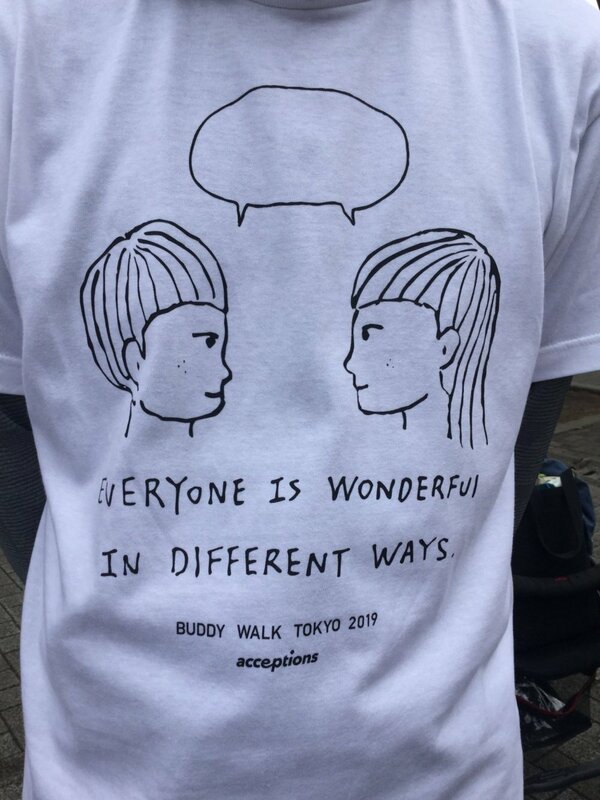 The Buddy Walk is a charity event started in New York in 1995 to raise awareness and promote understanding about Down Syndrome and was held for the first time in Tokyo in 2012. 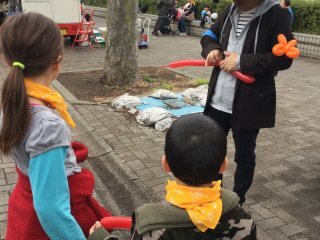 At the Yoyogi Park main venue (along the Zelkova trees) from 10:00 a.m. to 16:00, there were various fun booths that can be enjoyed by everyone. The OBIC Seagulls Football team hosted a small sports zone where participants can handle a football and try to score points throwing it through holes. Anytime Fitness held a "charity squat". Participants were invited to do squats for 1 minute and were rewarded with Calorie Mate bars. The total number of squats were tallied and Anytime Fitness will donate this amount x10 to the cause. 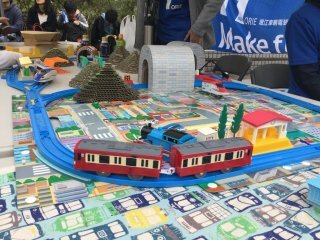 There were booths giving away balloon art, hosting art workshops, and promoting pet therapy. The official Buddy Walk parade, approximately a 2 km walk around the Shibuya shopping district, started at 12:30 p.m. The parade was made lively with brass bands and cheerleaders. 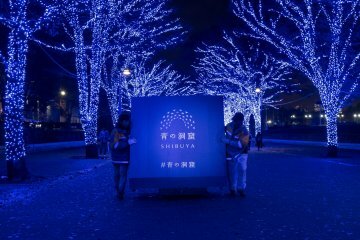 Buddy Walk Tokyo is organized by the NPO Acceptions. 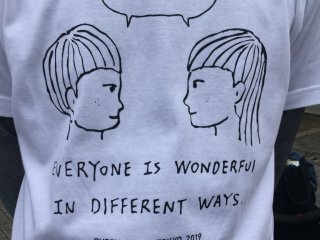 The event is best summed up in the Buddy Walk t-shirt, "Everyone is wonderful in different ways." 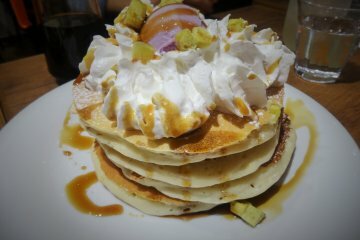 Yoyogi Park is about a 10 minute walk from JR Harajuku Station.